The meaning behind data at the Prince’s Trust by Emily Atkinson, Analyst, NEF Consulting (photo: Emily at the Awards). I love numbers. It is through numbers that we can measure things and by measuring things we make them count (literally)! A large part of our work at NEF Consulting is about exactly that. We create new indicators and methodologies to measure things that are not traditionally measured – these might be key social characteristics like wellbeing or environmental factors like biodiversity. However, every now and again we are reminded of the reason we are measuring them in the first place – changes in these areas profoundly matter to people and affect their lives. My most recent project with the Prince’s Trust really highlighted this for me. It gave me the refreshing opportunity to look beyond the numbers to see the amazing achievements that young people make. I often use the Prince’s Trust measurement framework as an example to illustrate inspirational data collection – following each young person’s journey from before they start on a programme, the skills they learn and develop during their programme and checking in with them afterwards to see how they are doing. NEF Consulting has been lucky enough to work with the Prince’s Trust over the last three years, converting comprehensive data into social return on investment (SROI) models for a number of their programmes. As you can imagine, the huge volume of numbers required to track all their young people through each programme can be overwhelming. We can get a bit lost in the data and spreadsheets, making it hard to see the real meaning of the numbers. So what if a person’s personal resilience scores go from 1 out of 5 to 3 out of 5? What does that really mean? Excitingly, my most recent work with the Prince’s Trust allowed me to look a little deeper. 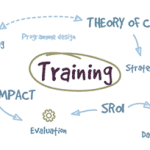 We were tasked with developing new qualitative research on the Team programme, a 12 week personal development course which helps disadvantaged young people to gain the confidence and skills to move into work, education or training through work in the community. We analysed Team programme’s impact in the communities within which it works, delving into peoples’ real lives and their stories about how the Trust had affected them to get under the skin of what happened and why it truly mattered. This research was supported by Barclays as part of their support for the Team Programme in its 25th Anniversary year. On the ground, the investment meant that a Team in Dartford were able to transform a disused area next to an Age UK centre into a lovely space for people to sit and relax. They had heard that older residents in the community didn’t have anywhere to enjoy the outdoors. A Team in Leeds revitalised a garden to create an accessible space to grow vegetables with primary school children, some of whom were disabled and wheel chair users. In general, the Team community projects changed local residents’ perceptions of young people and boosted the visibility of local partners of the Trust – supporting continuation of their great work. What a great discovery! But the icing on the cake was going to the Prince’s Trust Celebrate Success Awards. Although star struck by the host of celebs there to support the Trust (my fingers were crossed for being head-hunted for stardom), the true highlight was hearing the outstanding achievements of young people from across the Prince’s Trust programmes. This is where I felt the essence of the Prince’s Trust’s impact. The Prince’s Trust data systems may be inspirational in their ability to prove and improve the work they do, but their best measure of success is the impact they have on young people’s lives. Numbers can only ever tell part of the story. Photo: Emily with Rosie at the Prince’s Trust Celebrate Success Awards.